DriApp contains separately the so-called. a taximode for professional driving. Features of the taximode, four tariffs to choose, start-up setting, wait, wait and pause button, automatic or manual slow-down billing. 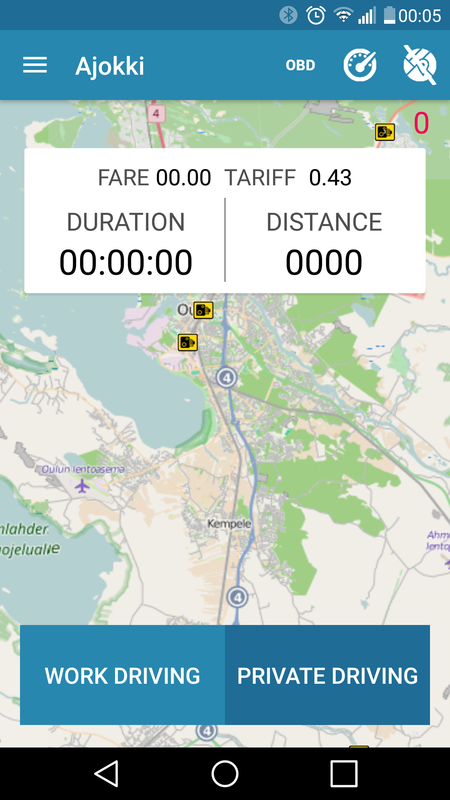 Taxi fare calculation can be made by a distance or time, depending on the selected setting. OBD support works with 2005 or newer cars. 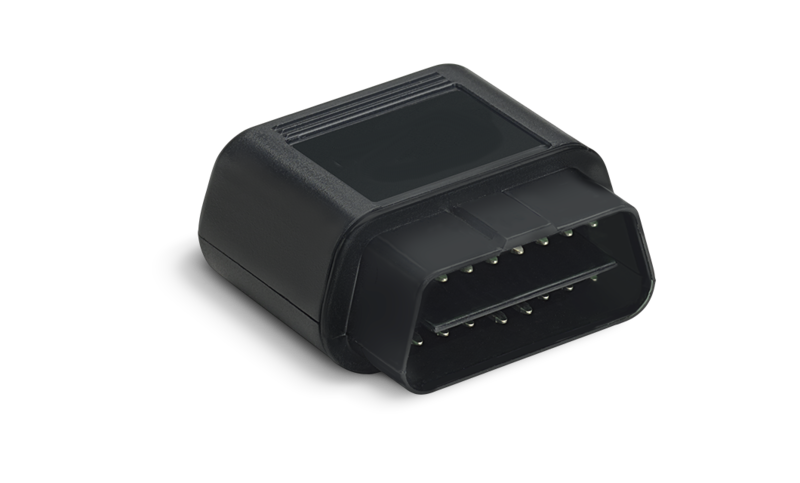 With OBD, you can full benefit from DriApp ussage. 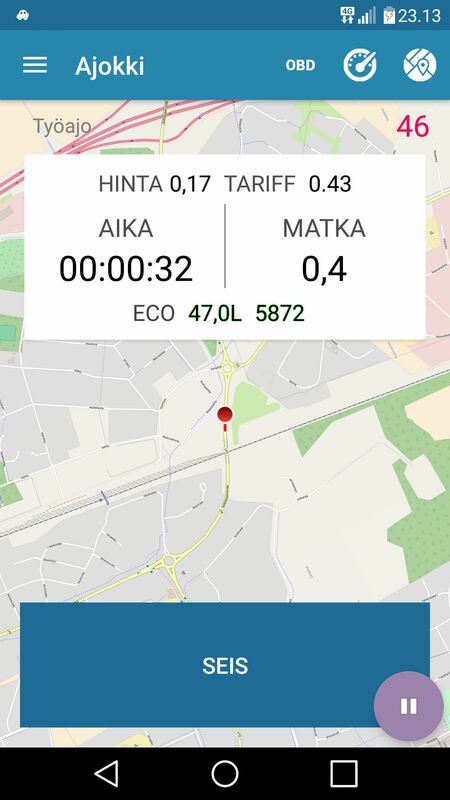 Our DriApp was the first application of 2010 that used the OBD for make driving logbook.With OBD support, the DriApp is able to report fuel consumption, engine speed and cooler temperature directly using the car's own computer (ECU). When the OBD is in use, the average fuel consumption of 100km/L is also stored in the logbook history. ELM327 devices that fit Android devices are sold separately. Ajopäiväkirja pohjautuu tekemäämme Trip PRO moottoriin, jonka kehitystä on tehty jo viimeiset kahdeksan vuotta. Kysessä on siis pitkälle hiottua ja testattua tekniikkaa. Tähän moottoriin on matkan varrella otettu mukaan parannuksia käyttäjien ehdotuksesta. 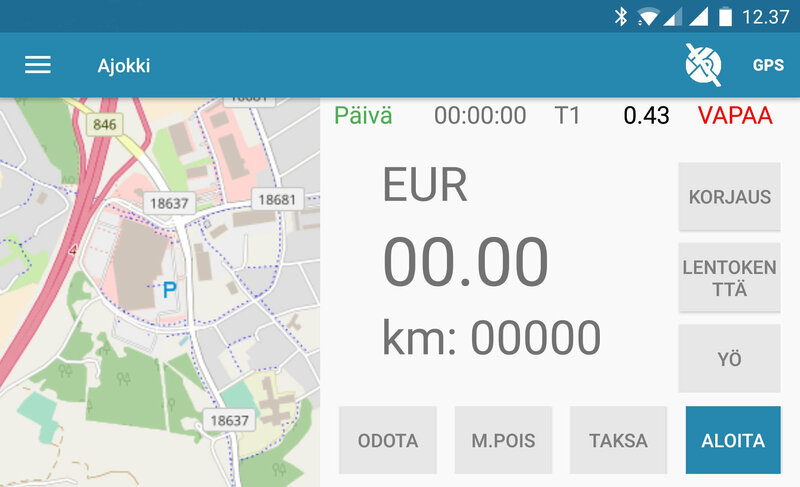 Trip PRO Engine on myös testattu Samsung:n ja Amazonin toimesta. Tällä hetkellä Ajokki-ajopäiväkirjasovellus on aktiivisen kehitystyön alla ja pyrimme tuomaan siihen jatkuvasti uusia monipuolisia toimintoja. Choose you price and welcome to join in our happy users! With the SumUp payment terminal, you can easily and lightly access the taxi business. 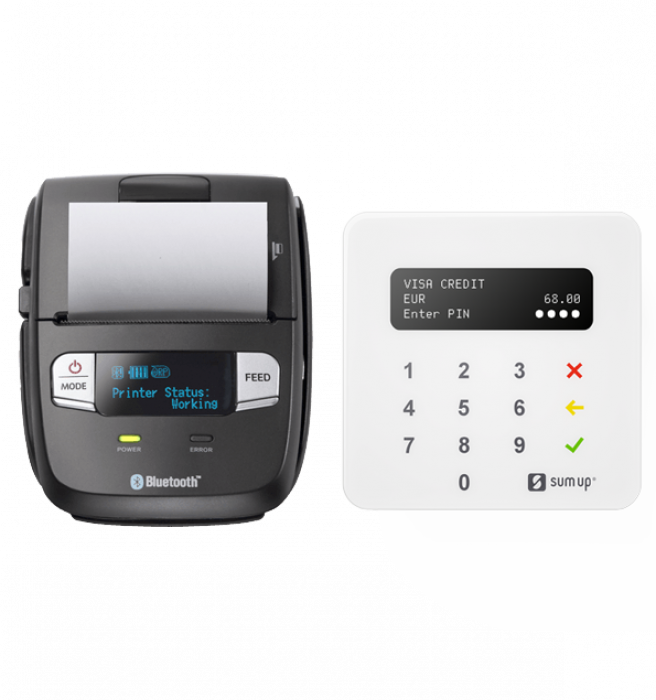 SumUp payment terminal for a phone, where you pay only 0.95% per debit payment (credit 2.75%). Receive payments directly to your account. When using Sump payment system, all needed details from drive are safetly saved in SumUp receipe system. 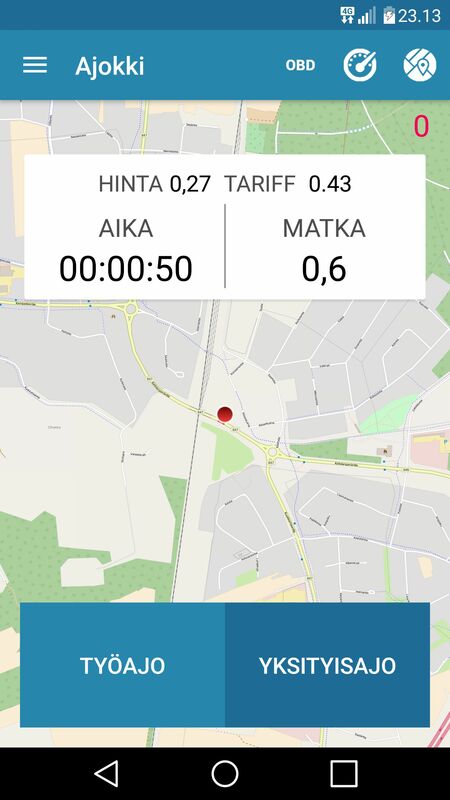 Time and place of the start / end of the trip, start / stop address with street name accuracy, driver information entered from the settings, registration number, taxi number, journey duration, wait / slow driving time, fare.